General Motors importer and Holden race team Walkinshaw Performance threw some shade on Ford recently when it said the awkward dimensions of the Supercars Ford Mustang were reason enough to cancel the planned Supercars Chevrolet Camaro project it had underway. Walkinshaw has a point – the Supercars Mustang is no looker, but boy is it fast. The Ford Mustang has taken six wins in the first six races of the 2019 Virgin Australia Supercars Championship, with DJR Team Penske’s Scott McLaughlin claiming five of those and Tickford Racing’s Chaz Mostert taking one. The Mustangs also took all four poles in the recent round at Albert Park and the Sunday sprint race included an all-Mustang podium. Chatter in the Supercars paddock is that the Mustang, which is the only coupe on the grid currently, has an aero advantage. This is perhaps evidenced by the Mustang’s massive advantage at the Albert Park Formula 1 circuit, which has long straights and a number of sweeping, medium speed corners. 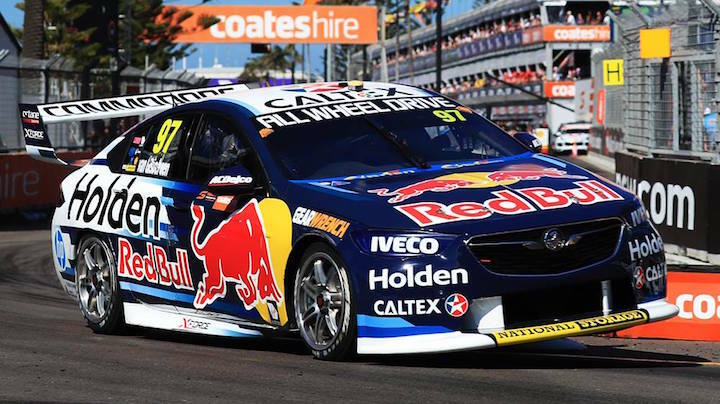 DJR Team Penske was forced to remove an overweight exhaust from its car at Albert Park last weekend, which was installed in an effort to more evenly distribute weight across the car. Holden teams had allegedly expressed concern that Ford teams were using such clever techniques to add some drivability to their cars, Motorsport.com reports. 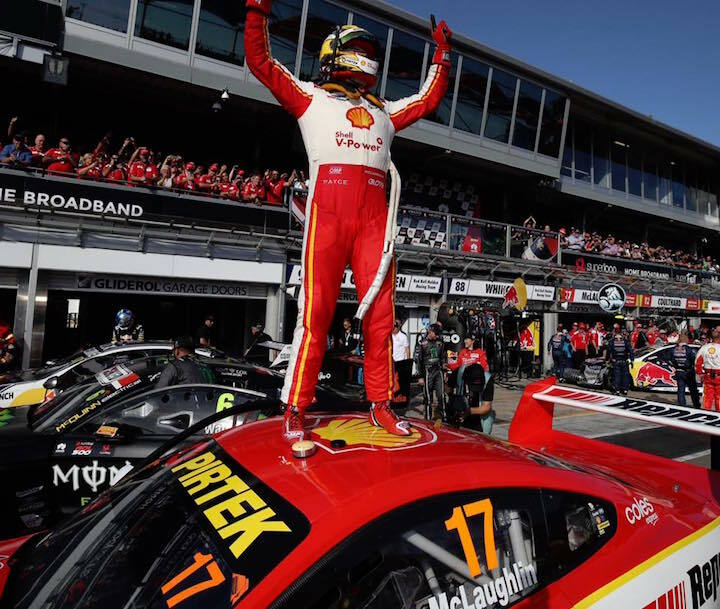 The 2019 Supercars season continues with rounds 7-8 at Symmons Plains Raceway in Tasmania, set to be held on on April 7th and 8th. Will the Supercars Mustang take another win?